Toronto Ontario – At nine thirty a.m on Tuesday May 22nd 2018, Toronto City Council sat down to determine who would be taking command over ward 33 (Don Valley East) after the resignation of Shelley Carroll this past April. Carroll stepped down from office on April 5th, in order to run for the provincial Liberal Party in the Don Valley North riding. The meeting was conducted in in two parts, the first being just under three hours and the second being just under two. 18 people put their names into the race to be considered but only one became counsellor of ward 33. 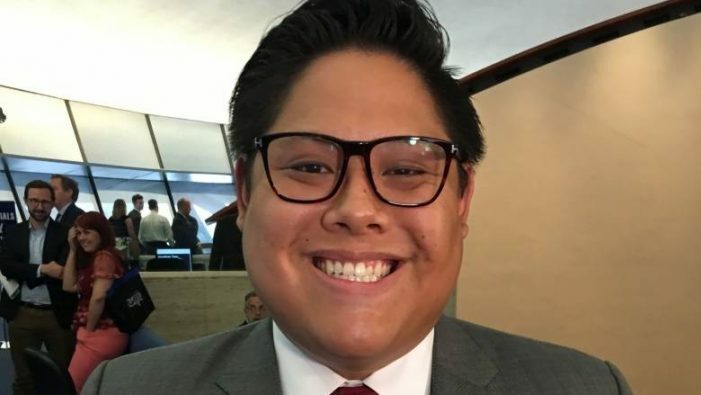 Jonathan Tsao was appointed to the position of councillor for ward 33 yesterday, after getting 23 votes in his name as well as the vote of Toronto’s current mayor John Tory. Tsao is highly respected in his community and is ready to give back to ward 33, which he considers his home. It will be a short time served in office for Tsao; despite that however he is determined to make the most of his time during the upcoming months until November. He plans to take a leave of absence from his current position as director of strategic relations and communications at Children’s Mental Health Ontario, in order to be more focussed on his duties at city council for ward 33 during the remainder of the term. It will be interesting to see what ideas and ambitions Tsao will be bring to city council in the next meeting in order to conduct change. Tsao isn’t the first to replace an ex-council member in fact he is actually the third this term. Ward 44 (Scarborough East) and Ward 28 (Toronto Centre-Rosedale) have seen elected councilors come and go as well. The GTA needs reliable politicians to speak up and fight for the wards as well as the needs of those specific people in each of them. You accomplish nothing by spending all that time and money to get elected only to then bow out the second something better comes along. Doing so the Toronto and its politicians loose credibility with the people living within this city, which is the exact opposite of what you want come Election Day.